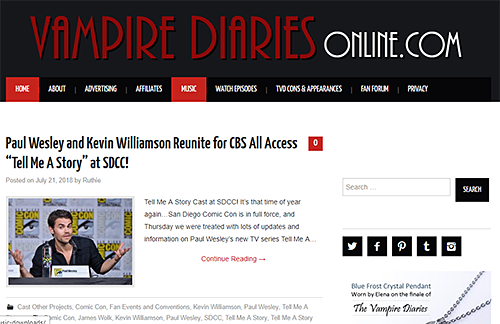 Fan Forum > Male Celebrities > Paul Wesley > Please Welcome Our New Affiliate 'Vampire Diaries Online'! and feel free to visit this great site for lots of interesting posts relating to Paul, mainly his character on TVD, Stefan Salvatore. You can find the link to the blog at the bottom of this forum and also on our affiliates page here under 'Paul Wesley'. Vampire Diaries Online, Paul Wesley Daily, Paul Wesley Addicted, Until Forever Ends, FYeah Stefan Salvatore, What's the point in being good?